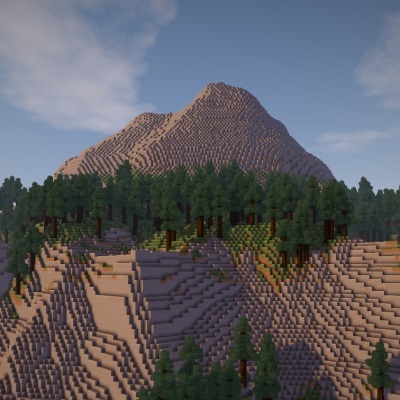 Biome Bundle is a world pack for Open Terrain Generator which must be downloaded separately here. Biome Bundle is a completely custom world generator containing a huge pack of over 400 original biomes with over 2000 structures including custom trees, rocks, caves, dungeons, villages and much more. Hi! HUGE fan of your amazing mod. I was wondering if it was possible to add biome bundle biomes to another mods config file tin order to add their tree generation to your biomes? And if so, what is the format? For example minecraft:mutated_jungle or biomesoplenty:tropical_rainforest are the formats for vanilla minecraft biome and BOP biome. Would yours be something like biomebundle:rainforest or OTG:rainforest? Thank you! Como hago que este mod haga aparecer los animales y monstruos del mod Mo Creatures? I'm stuck in loading world, how do I fix this? Is there a lite version of this? Like just the core biomes with the same level of detail? I just wish this was compatible with Mystcraft. Most ages will simply crash the game upon entering them. Some blocks seem to be facing a different angle in certain structures. Is this an issue with the mod or am I doing something wrong? Do I have to pre-generate the world to not have lag while I explore in the server world? I mean, is he going to give me problems with the chunks? I can't find any Botania flowers in Biome Bundle worlds. I mean, I like them to be rarer than default, but without them spawning at all it's quite hard to get started (though not impossible). Could you add compatibility? any plans on updating this to 1.13? pretty please??? Please, please, please make a compat for Dynamic trees. This terrain gen looks amazing, but I miss the dynamic trees. I found a fix for this. Go into the otg folder in mods, then go to worlds, objects; and delete everything in trees besides the trees that spawn dead or with mushrooms (if you still want those as decoration). Can this mod work with Dynamic Trees? Any news of this being functional with BOP, that would be a dream come true! Any updates? This mod has not been updated for a year? team_otg has not been active since April! can this also work with Biomes o' Plenty? No, as this is another world generator. It will crash your game. Is there any chance this could be updated? I know it doesn't really need to be, but it feels weird that the last update was from 2017 ._o It's like this mod has been forgotten. It could be optimized for custom random-structure spawning because certain randomly generated modded structures will spawn floating. (EDIT): And maybe fix the apparent spawning issues that people are complaining about with modded mobs, where they don't spawn as often as they do on regular (or other modded) world generation.